It was a beautiful day for baseball yesterday in Chicago, and that glorious young ballpark they have in Chicago was packed to the gills with over 50,000 fans. Most of them were expecting to see a heavyweight bout between Charlie Root and Lefty Grove. Instead they watched in shock as a few minutes before gametime as sidewinder Howard Ehmke, so close to being released two months earlier, started to warm up. Two months earlier, not a single team wanted Ehmke on their team. And yet here he was, starting Game 1 of the 1929 World Series. Apparently, he thought his arm was right. The fans were indeed treated to a pitching duel, as Root was every bit as good as advertised. Ehmke, meanwhile, struggled a bit in the first. He allowed a single to Woody English, then Rogers Hornsby caught a hold of one that brought the whole house to its feet, but was snagged just in front of the bricks in right by Bing Miller. Ehmke found himself in trouble again in the 3rd, as the Cubs got runners to 2nd and 3rd with only one out and Hornsby and Hack Wilson the next two at the plate. Disaster seemed eminent. But Ehmke calmly struck out the mighty Hornsby, then did the same to Wilson, and the scoreboard continued to fill with aughts. Ehmke got stronger as the game went on, striking out the side in the 6th. Root was every bit as effective, keeping the mighty A’s to a mere two hits through 6 innings. But in the top of the 7th, the Beast went into Beast mode. Jimmie Foxx (right) delivered a shot into the left field bleachers, and the A’s took a 1-0 lead. Ehmke got into trouble again in the bottom of the the 7th, as the Cubs had runners on 2nd and 3rd with one out. But Ehmke coaxed pinch hitter Cliff Heathcote to fly out to shallow left, then struck out pinch hitter Gabby Hartnett. The game went into the 9th inning with the A’s holding that slimmest of margins. Reliever Guy Bush was on the hill for the Cubs. MIckey Cochrane led off the inning with a single. 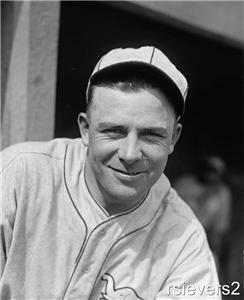 The Cubs should have then gotten a double play, but young shortstop Woody English booted the ball, and the A’s had runners on 1st and 2nd. 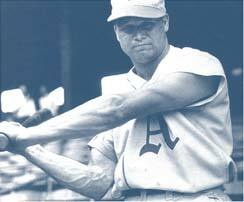 Up came Jimmie Foxx. He too hit one right at English…and English flubbed it again! Now the A’s had the bases loaded with no outs, and a Bing Miller single knocked in two. The A’s took a 3-0 lead into the 9th with Ehmke still on the hill. In the bottom of the 9th, Kiki Cuyler reached 2nd on a throwing error by Jimmy Dykes, and scored on a Riggs Stephenson single. Charlie Grimm followed up with another single, and now the Cubs brought the winning run to the plate in the form of pinch hitter Footsie Blair. But Mack stood by his man, and Ehmke got Blair to groundout. Up came another pinch hitter, Chick Tolson, standing in for the pitcher. And Ehmke ended this most memorable Game 1 by doing what he had done all game…earning a strikeout. It was a World Series record 13th strikeout, and the A’s victoriously headed back to their clubhouse with a 1-0 Series lead. *quotes come courtesy of an October 9th, 1929 article in the Milwaukee Journal. I cannot imagine a bigger fan of the Eastern Shore of Maryland than Mr. Connie Mack. That small spit of land supplied him a hero in 1911 in the form of one Mr. Frank “Home Run” Baker, and it has done so again in this World Series. 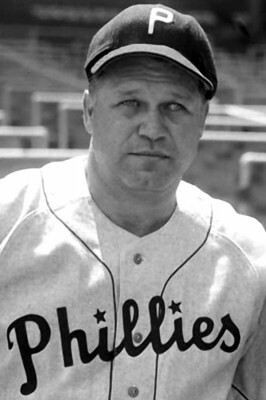 Jimmie Foxx is the pride of Sudlersville, and in fact his first ever baseball gig was playing for Mr. Baker himself in Maryland. Baker, whose beef with Mack has long since past, informed his former skipper of the Double X’s hitting prowess, and Mack signed him to play first base. The 21-year old man child had his break out year this season this year, knocking 33 balls over the wall and supplying 118 RBIs to boot. And now he’s a World Series hero. After knocking a ball over the bricks in Game 1 to score the first run of the Series, he returned in Game 2 and opened the scoring yet again. 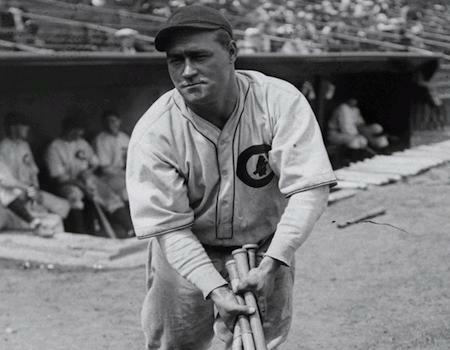 This time it was a 3-run shot off of Pat Malone in the 3rd inning that cast a pall over Wrigley Field and kickstarted the Mackmen on a cold windy day in which they’d gun down the Cubs 9-3 to take a 2 Games to 0 Series lead. And Foxx wasn’t finished, as he later hit a single and a double. It’s been a hell of a week for Jimmie, whose wife Helen gave birth to Jimmie, Jr. on October 3rd. She and the baby have listened to their breadwinner’s heroics via radio in a hospital room in Dover, DE. Of course, Jimmie wasn’t the only hero of Game 2. Al Simmons sent a rocket shot into the bleachers top of the 8th inning to finish off the Bruins and supply the final score. As far as pitching, it goes without saying that the Cubs’ Pat Malone was sent to the showers early. 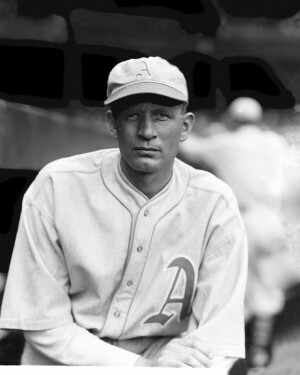 On the A’s side, George Earnshaw ran into a bit of trouble in the 5th inning, giving up 3 runs, and Mack wasted no time calling in Lefty Grove from the bullpen. Grove cruised through the 2nd half of the game. Pre-Series talk that the Cubs righties would pound a man named Lefty was proved to be bologna. Game 3 will be played in Philadelphia on Friday, and to hear Foxx talk of it after the game, it will be little more than a coronation for the best team in baseball. “Having hit the best pitchers the Cubs have to offer, it looks to me as though the result of the Series is a foregone conclusion. Our aim now is to take four straight.” Ah, the swagger of youth. 21-years old, a new father, and a World Series hero. Perhaps someone should ask Jimmie Foxx what the view is like from the top of the world. BOX SCORE AND PLAY BY PLAY HERE.